“I started modeling as a hobby when I was 15 and doors started opening up for me. I am still in school but I also work as a part-time model under an agency in Mumbai.” Sounds like a perfect teenage dream – especially for a small town girl strutting her way to the top in a big city. Exactly the kind of stories that warms and excites our heart – all at the same time. 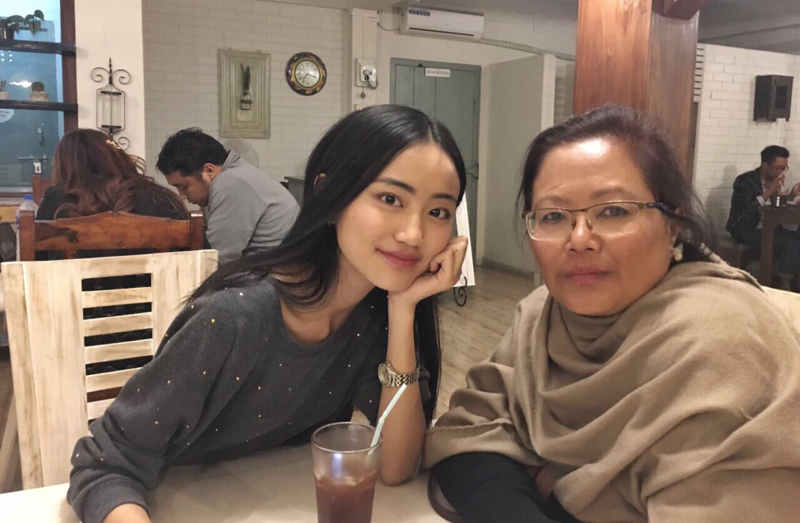 Here’s an exclusive interview with Andrea from Nagaland, as we talk modeling, career, school, family, roots and more. Hi Andrea. Please introduce yourself. I am 17 years old, and a student of class 12. I am also a part-time model under the agency Anima Creatives in Mumbai. How did you it all start? I started modeling as a hobby when I was 15 and doors started opening up for me. I am still in school like I mentioned, but I am currently, I work under an agency in Mumbai. 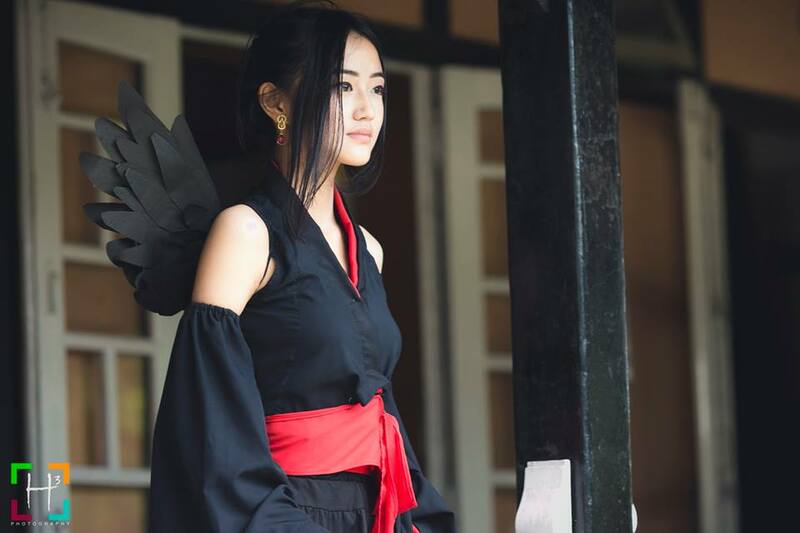 Andrea Kevichusa spotted at the NAJ Cosfest 2016, in Kohima – during her early days of modeling. Very interesting! So how do you juggle school and your modeling assignments? Dividing my time between studies and modeling is an uphill task. However, I only travel during school breaks or only when I can take a leave from school. How have your Naga roots influenced your career as a model? To take ‘roots’ to the context of looking different from your fellow models from other parts of India, my North Eastern looks have definitely given me an edge in bagging editorial and commercial assignments. Tell us about your latest assignments! The latest project I had done was a campaign shoot for Sabyasachi Mukherjee’s latest collection consisting of Ritz evening wear, Piaf, International Wedding Line and White Wedding, the Bold and Beautiful, and Cerise Nuit evening wear. This collection was introduced in Hong Kong. 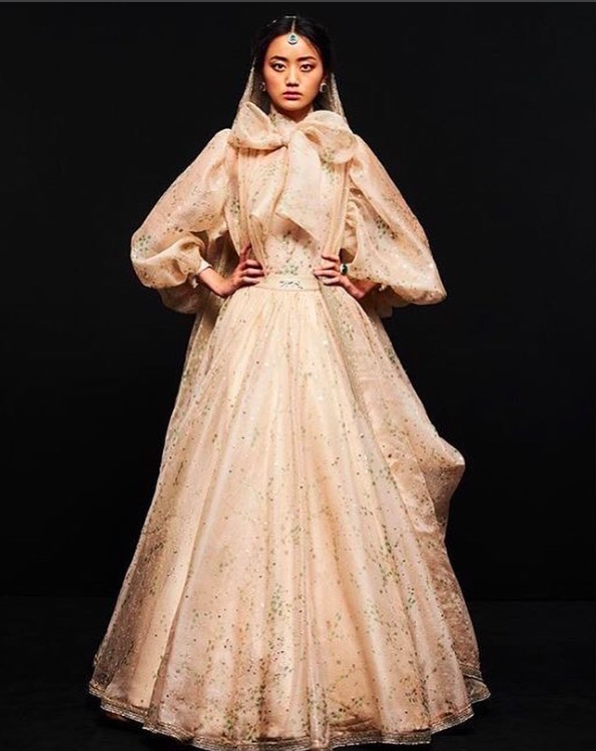 Andrea Kevischusa for Sabyasachi Mukherjee’s latest collection of Ritz evening wear. Any word of advice for aspiring models? I’m still a novice and learning each day, but from my limited experience, I would say that work will take you places and connect you with many types of people – each with their own quirks, styles, and opinions. So it is important to accept and to learn from both praise and criticism, and yet not to take both personally; to enjoy the experience but to stay grounded and not get carried away. These contribute to molding you into the person/professional you would become in the future. Andrea Kevichusa (top left) with her family – sisters and parents. 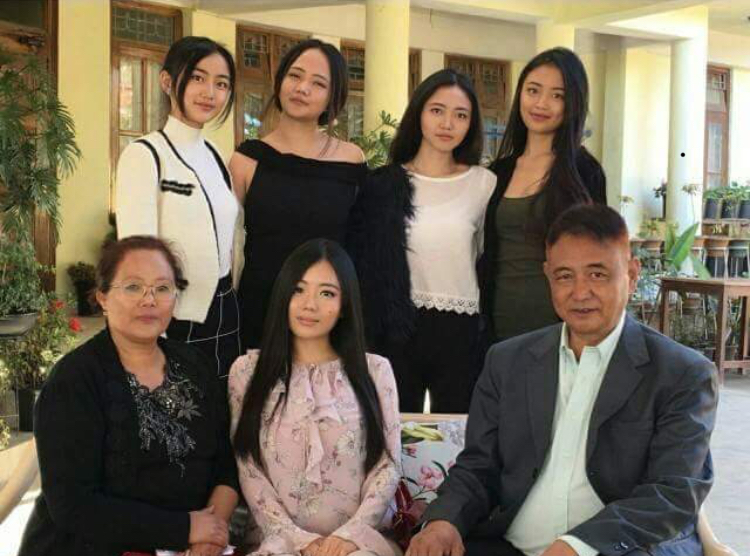 Andrea (top left) with her family. Follow Andrea Kevichusa and cheer her on!